Knowing when and how to talk about such a deep subject with a child, whether they may be using drugs or not, is difficult. It takes courage and careful listening for your child. The following are some tips on talking to children about drugs, taken from some leading websites in teen drug prevention. First and foremost, be aware that access to some drugs, like marijuana, has become less and less difficult. In some states with legalized medical marijuana use, it is even more readily available. There are adults who are willing to give young people drugs or alcohol illegally for free. With the growth of the internet and mobile devices, obtaining marijuana online is not difficult for many teenagers. Plan to have the talk beforehand, and let your teen pick the time and place. Telling them you want to talk to them about something beforehand, and not just catching them off guard, will likely ease the process of approaching the subject. (7). Talking while driving, working on a project, or just doing something non-stressful provides a good environment to express feelings. This is likely more comfortable for teens than just staring them straight on. Don’t just focus on the potential harms, but also the positive aspects of not using drugs. Be firm in explaining why drugs are not at all allowable. (8). Some research says that one of the main factors in whether a child decides not to do drugs is the thought, “What would my parents think?” (8). Help them understand your concern and how you feel about drugs. Visiting a counselor might be important if it is difficult to communicate with your child, and if they are addicted and require intensive therapy to recover. Although increasing legalization of marijuana has contributed to the growing belief that marijuana is harmless, research documents the risks of its use by youth are grave. 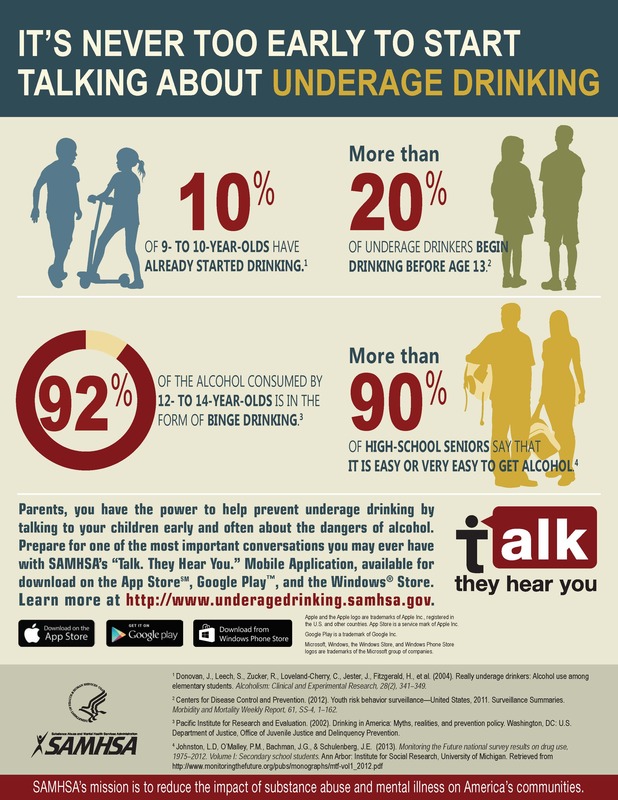 Parents who do not want their kids getting drunk and using drugs should begin by sending a strong message to their children about the importance of avoiding drugs and alcohol. Children look to their parents for help and guidance in working out problems and in making decisions, including the decision to not use drugs. Not only should parents be role models, and not use marijuana or other illicit drugs, but also they should recognize and discuss the serious health consequences of drug and alcohol use with their kids and teens. Please view the ACPeds position statements Marijuana Use: Detrimental to Youth and The Teenage Brain: Under Construction for more information on teen brain development and the harmful effects marijuana can have on adolescent health. Partnership for Drug Free Kids (2017). Marijuana. Retrieved from https://drugfree.org/drug/marijuana/.